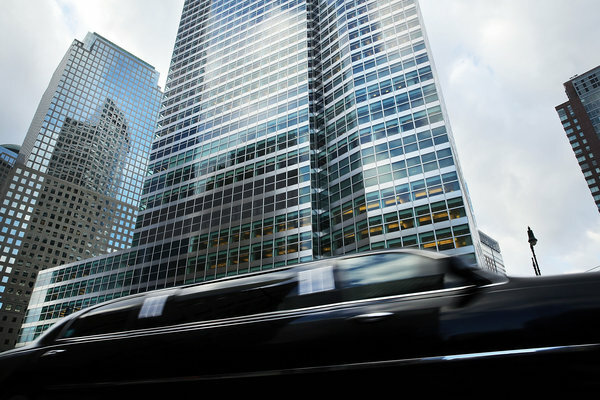 Concerns have emerged that Goldman Sachs — long the leader on Wall Street — may lose an important engine of profitability. On the Federal Reserve stress tests last week, Goldman performed poorly compared with other big banks. Now analysts and investors are worried that the bank could be barred by regulators from buying back its own stock or increasing dividends. Goldman has used dividends and share buybacks to appeal to investors at a time when other elements of the bank’s business have faced challenges. When companies buy shares of their own stock on the open market, it generally increases the amount of profits attributed to every share, an important metric for investors. Several analysts have released research questioning whether the Federal Reserve would allow Goldman to continue its buyback programs given the results of the stress tests. Brian Kleinhanzl, an analyst with Keefe, Bruyette & Woods, estimated that if Goldman is unable to repurchase shares, it could earn 42 cents a share less than expected this year, and $1.78 a share less than expected next year. “There is an expectation that they could be at risk,” said Steve Chubak, a bank analyst with Nomura. Shares of Goldman fell 1.7 percent on Friday, the day after the stress tests, while the broader bank sector was up. The bank’s predicament highlights how the Fed’s stress test, which has become a powerful tool for Wall Street regulators, can trip up even a bank like Goldman, which came out of the financial crisis looking stronger than many rivals. The stress tests are intended to ensure that banks have an adequate cushion to sustain losses if another financial crisis hits. The Fed does not allow banks to give money back to shareholders if it would leave the banks with less of a cushion than they would need in a severe crisis. The Fed will not publicly give its final verdict on Goldman’s buyback plans until Wednesday. Its decision is likely to hinge on how it analyzes the results of the stress test, and it may have determined that Goldman is strong enough to use profits to buy back shares. But Goldman’s poor showing on the stress tests, relative to other banks, is the latest question mark facing the bank’s vaunted business model. Goldman was essentially the only big bank that was expected to face problems in winning Fed approval for its dividend and buyback program, among analysts who released reports last week. “It doesn’t look pretty, just based on that,” said Mike Mayo, a bank analyst with CLSA. According to Mr. Mayo’s calculations, the stress tests could leave Goldman able to spend only $700 million on increased dividends and stock buybacks this year, in comparison with the $5.5 billion it spent on buybacks alone last year. The Federal Reserve released projections of each bank’s ability to withstand a severe recession and other shocks over the next two years. A bank capitalized below 5 percent would be in danger of failing. But Mr. Mayo noted that Goldman could propose actions to the Fed that would allow the bank to increase the amount it can distribute to shareholders. Such actions might include cutting assets and issuing new securities. A Goldman spokesman had no comment on the stress test results. Goldman has already faced challenges to its business model because of the relatively slow trading activity in recent years in the markets where the bank makes much of its money. The same trading operations have also been the subject of more stringent regulations since the financial crisis. The so-called Volcker Rule forced Goldman to get rid of proprietary trading operations and investments that had been big drivers of profit. Several of the bank’s competitors have responded to the new rules by cutting back the operations that are the subject of the rules, like commodities trading and hedge fund investing. But Goldman has bet that it will benefit when markets bounce back and it has fewer competitors. The stress tests this year came down hard on banks that rely on Wall Street trading desks. The Fed looked at how the banks would fare in a financial crisis in which the stock market fell 60 percent. In this situation, the Fed estimated that Goldman would lose $23.8 billion in its trading operations, more than almost any other bank. If that loss occurred, the Fed said that by one important measure, Goldman would have only a bit more loss-absorbing capital than the minimum expected by the Fed. The results of the stress test reflect the fact that Goldman has recently been returning a majority of its profits to its shareholders through buybacks and dividends, leaving it with less capital than it would have otherwise had at the beginning of the tests. Over the last three years, Goldman has spent $16.3 billion buying its own stock, around 70 percent of the bank’s total profits during this period. That strategy has proved popular with shareholders, and the bank’s executives have highlighted it as an important part of their strategy. But it is a strategy that the bank may now have to scale back. A version of this article appears in print on March 9, 2015, on page B1 of the New York edition with the headline: Goldman Faces a Threat to a Crucial Profit Source. Posted on March 9, 2015, in Postings. Bookmark the permalink. Leave a comment.